Admission tickets will be available at the ticket window at the door! SAVE $1! 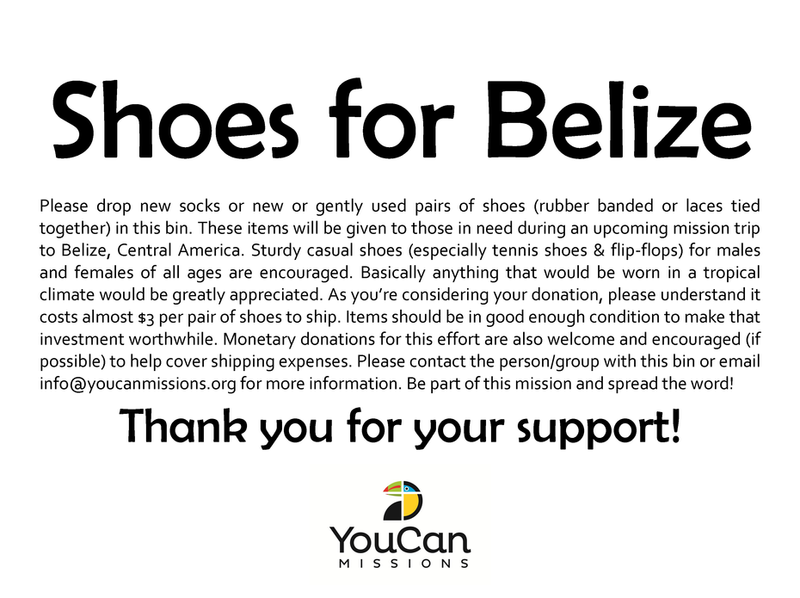 Bring a pair of shoes or a BRAND NEW pair of socks for the Shoes For Belize Project, you can save $1 on your admission ($1 savings maximum, per person).